I liked the economy of the inscription. There’s a separate marker nearby which elaborates, and it turns out that Astoria, Oregon had the first US Post Office west of the Rockies. More info on that, here. I am so jealous – I have never been able to get into Lightbox. They are always closed when I visit Astoria! Great find! 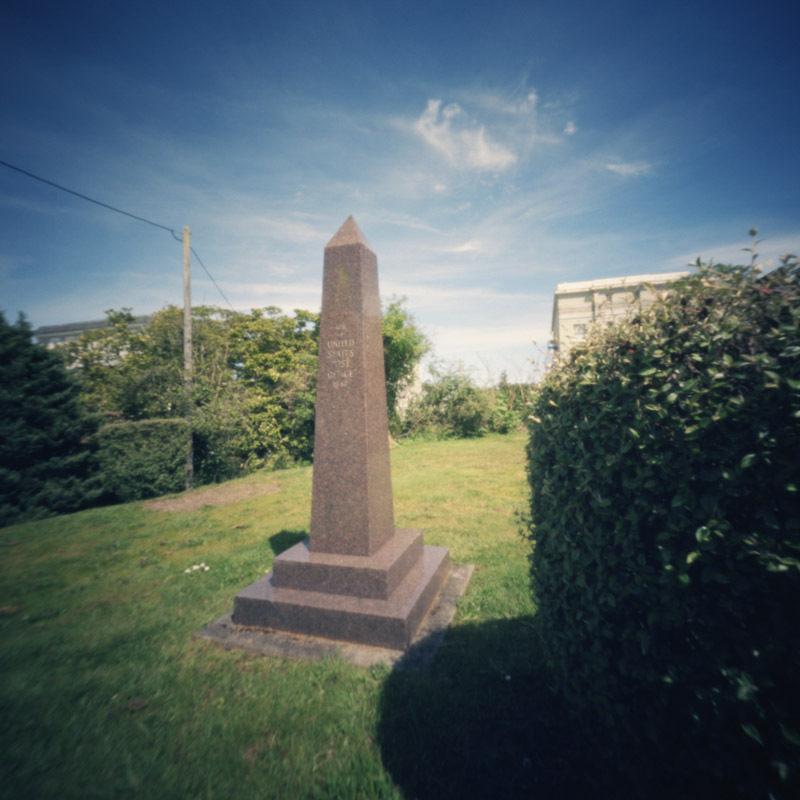 i knew about the post office but hadn’t see the obelisk!